Glurin repairs the Fugitoid after his encounter with Raphael. Leonardo discovers a strange book that the Foot are mass producing. 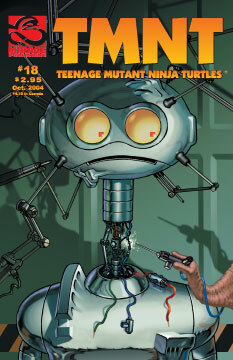 Raphael returns to the Turtles’ lair and sees a vision of Master Splinter. Mike saves the Regenta’s life. Don and his friends discover the identity of their weird captors.